Workouts Building Muscle What Are the Benefits of Deadlifting? Deadlifts are training the central muscles of your body, it is an effective exercise to develop your core strength. Muscles that make up the core are found in your upper and lower back, your hips, your buttocks and your abdominals. All those muscles work in unison when you perform deadlifts. Having a strong core is important for maintaining healthy posture and preventing back problems. As an athlete, all your movements require the stabilization of your core muscles, in order to generate maximum power. Strong core muscles helps you to maintain proper balance. In order for your extremities to generate maximum force, you must have stable core muscles. The primary muscles are the glutes, hamstrings and spinal erectors. If you do bent-knee deadlifts, your quadriceps are also heavily engaged. The integration of these muscles allows you to lift heavier weights than many other types of exercises. Lifting heavier weights will increase your overall muscle mass, which is the main factor that develops your strength. 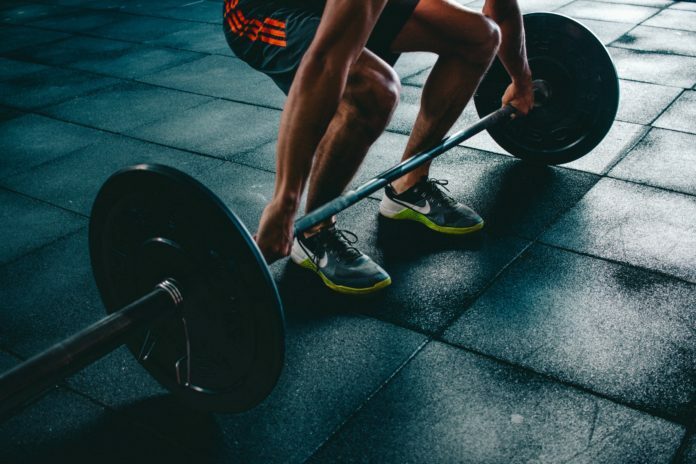 By doing at least 7 to 10 repetitions of Deadlifts with heavy weight, you can increase the amount of testosterone and growth hormone produced by your body. Testosterone increases muscle growth and improves muscle repair while growth hormone, which is produced by your pituitary gland, promotes tissue healing, bone strength, muscle growth and fat loss. Performing deadlifts develops the muscles and the movements that are involved in many forms of physical labor. Also, because deadlifts normally involve lifting heavy weights, they help you develop a strong grip, which is also associated with many physical tasks. WARNING: Deadlifts are intense and involve using your entire body. Start with two warm-up sets using light weight with high repetitions. Keep your back straight as you lift, and push with your thighs. Next articleProtein Shake Before or After a Workout?